If you would like to meet teenagers on a flash chat platform, you can meet them on internet. 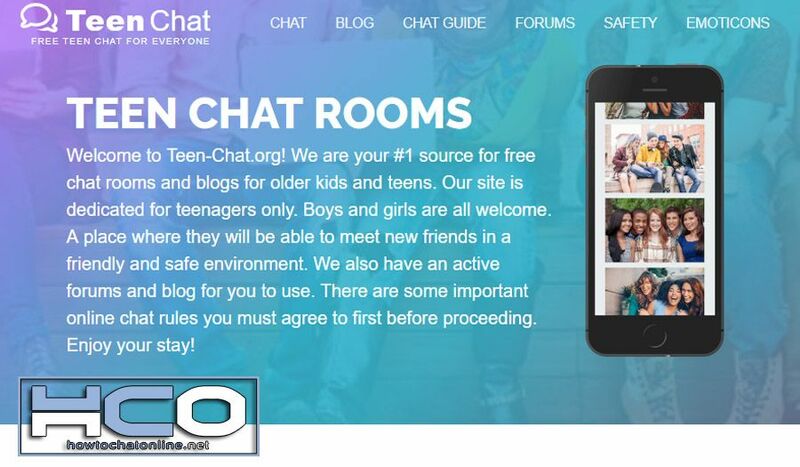 TeenChat Org is a good chat platform which you can meet them freely. If you are older than 18 years old, we don’t recommend this chat room for you. You can try other online chat sites which we recommend for you on How to Chat Online. If you are 13 between 18 years old, you are always welcome to chat on Teen Chat Org. You are always free to join these chat rooms, however people may ignore you if you are much older than members of the site. It is very easy to use the website. We are going to tell you how to do it on here and how to meet with female and male teenagers on the website. It will be quite easy for you and you won’t need to spend hours for understand how to use features of the website. Firstly search for the site on the Google and go to main page of the website. You will see links at the top bar of the site. Select “Teen Chat” from the options. Read chat rules of the site carefully and click on “I Accept” button. If you don’t agree with terms and rules of the site, you can quit and go another online chat site. After you click on “I Accept” button you will go another page which you will need to pick a nickname for yourself. Choose a unique username for yourself and click on “Chat Now” button. We recommend you to pick a nice nickname for yourself. You can use video chat or text chat on the site. You will able to chat on TeenChat Org channel in the new window which will appear in your screen. It is not compatible with Android nor iPhone devices. You will able to online chat with your computer only. It is very easy to meet girls and guys on TeenChat Org. After you enter the chat board, you will see online user list at the right side of the site. Some of these users are picking their gender before enter to the site and a gender icon appears just near of their nickname. You can find girls or guys with this way easily. The site is looking like Chat Avenue Teen chat room. If you like flash chat rooms, we recommend this channel for you on this page. I got banned from this website, how can I remove my ban?